Shin-Chan Han was born and grew up in South Korea. Han was educated originally in the field of Earth Science at the Seoul National University, South Korea. In 1998, Han started postgraduate work in the discipline of Geodetic Science and Surveying at the Ohio State University, the United States. After finishing PhD in 2003, Han stayed at the Ohio State University for three years as a postdoc and research scientist. In 2006, Han accepted a position at NASA Goddard Space Flight Center to join Space Geodesy group. Shin-Chan Han's research focus is on the analysis of space geodetic measurements and theoretical modeling of geophysical processes that govern mass distribution and transport within the Earth and the terrestrial planets. Han started out using GPS and other satellite ranging measurements to analyze spacecraft orbits as well as surface deformation and gravity fields of the Earth and recently those of the Moon and Mars. Han endeavored to exploit space geodetic measurements to tackle various geophysical problems, ranging from solid Earth, to terrestrial and atmospheric water, to ice mass and ocean, to ocean tides and bathymetry, to ionosphere, and to the gravity and topography of the Moon and Mars. Han have demonstrated ability to develop cross-disciplinary research program and establish collaboration with scientists in various fields. Han obtained a number of research grants during his tenure in US to pursue interdisciplinary research in Geodesy and Satellite Surveying for the Earth and planets. During his tenure at NASA, total grant was over $2.4M and most of the funding was secured as Chief Investigator. Han is also a winner of various prestigious awards given by American Geophysical Union, by NASA Headquarter, by NASA Goddard Space Flight Center, by US Department of the Interior, by the American Congress on Surveying and Mapping, by the Institute of Navigation, by the Ohio State University, and by the South Korean government. Since 2004, Han has been participating as a science team member for the Gravity Recovery And Climate Experiment (GRACE) satellite mission. As a team member, Han has demonstrated applicability of satellite geodetic data to various problems in the Earth sciences: many of them being the “first-time” applications. Han has pioneered a number of geodetic techniques to process GRACE data and helped to maximize the science return from the GRACE mission. In this paper we present results from modeling the Earth&apos;s gravitational field over the northern part of South-America using spherical wavelets. We have applied our analysis to potential data that we derived from CHAMP using the energy balance method, and to terrestrial gravity anomalies. Our approach provides a regional correction to the EGM96 reference gravity field, expressed in various detail levels, which are partly determined by the satellite data and partly by the terrestrial data. © 2018 by the authors. The accurate knowledge of the groundwater storage variation (¿GWS) is essential for reliable water resource assessment, particularly in arid and semi-arid environments (e.g., Australia, the North China Plain (NCP)) where water storage is significantly affected by human activities and spatiotemporal climate variations. The large-scale ¿GWS can be simulated from a land surface model (LSM), but the high model uncertainty is a major drawback that reduces the reliability of the estimates. The evaluation of the model estimate is then very important to assess its accuracy. To improve the model performance, the terrestrial water storage variation derived from the Gravity Recovery And Climate Experiment (GRACE) satellite mission is commonly assimilated into LSMs to enhance the accuracy of the ¿GWS estimate. This study assimilates GRACE data into the PCRaster Global Water Balance (PCR-GLOBWB) model. The GRACE data assimilation (DA) is developed based on the three-dimensional ensemble Kalman smoother (EnKS 3D), which considers the statistical correlation of all extents (spatial, temporal, vertical) in the DA process. The ¿GWS estimates from GRACE DA and four LSM simulations (PCR-GLOBWB, the Community Atmosphere Biosphere Land Exchange (CABLE), the Water Global Assessment and Prognosis Global Hydrology Model (WGHM), and World-Wide Water (W3)) are validated against the in situ groundwater data. The evaluation is conducted in terms of temporal correlation, seasonality, long-term trend, and detection of groundwater depletion. The GRACE DA estimate shows a significant improvement in all measures, notably the correlation coefficients (respect to the in situ data) are always higher than the values obtained from model simulations alone (e.g., ~0.15 greater in Australia, and ~0.1 greater in the NCP). GRACE DA also improves the estimation of groundwater depletion that the models cannot accurately capture due to the incorrect information of the groundwater demand (in, e.g., PCR-GLOBWB, WGHM) or the unavailability of a groundwater consumption routine (in, e.g., CABLE, W3). In addition, this study conducts the inter-comparison between four model simulations and reveals that PCR-GLOBWB and CABLE provide a more accurate ¿GWS estimate in Australia (subject to the calibrated parameter) while PCR-GLOBWB and WGHM are more accurate in the NCP (subject to the inclusion of anthropogenic factors). The analysis can be used to declare the status of the ¿GWS estimate, as well as itemize the possible improvements of the future model development. ©2015. American Geophysical Union. All Rights Reserved. The 2012 Indian Ocean earthquake sequence (Mw 8.6, 8.2) is a rare example of great strike-slip earthquakes in an intraoceanic setting. With over a decade of Gravity Recovery and Climate Experiment (GRACE) data, we were able to measure and model the unanticipated large coseismic and postseismic gravity changes of these events. Using the approach of normal mode decomposition and spatial localization, we computed the gravity changes corresponding to five moment tensor components. Our analysis revealed that the gravity changes are produced predominantly by coseismic compression and dilatation within the oceanic crust and upper mantle and by postseismic vertical motion. Our results suggest that the postseismic positive gravity and the postseismic uplift measured with GPS within the coseismic compressional quadrant are best fit by ongoing uplift associated with viscoelastic mantle relaxation. Our study demonstrates that the GRACE data are suitable for analyzing strike-slip earthquakes as small as Mw 8.2 with the noise characteristics of this region. 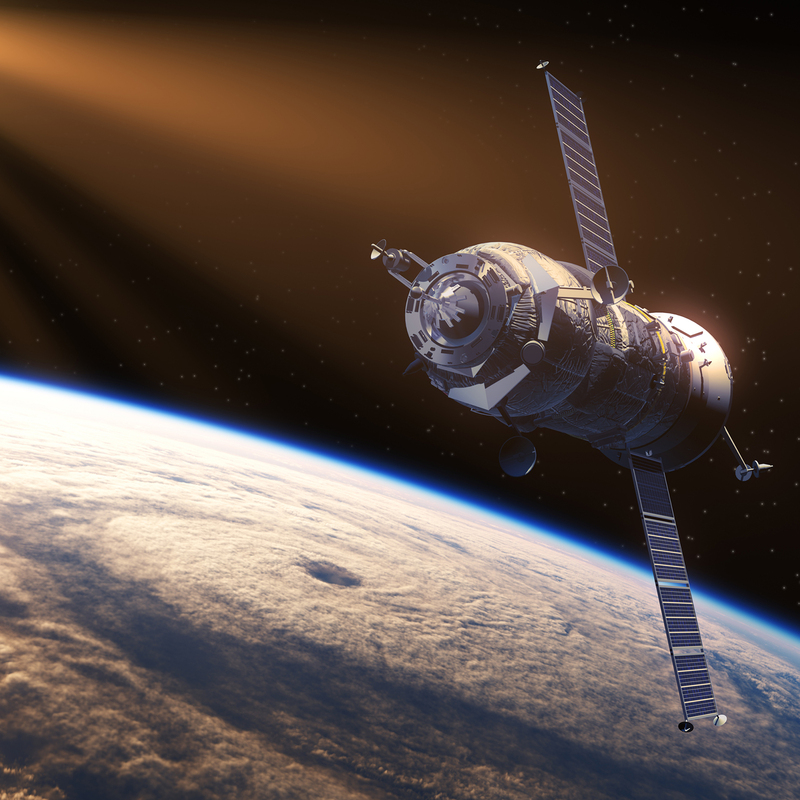 The gravity field dedicated satellite missions like CHAMP, GRACE, and GOCE are supposed to map the Earth&apos;s global gravity field with unprecedented accuracy and resolution. New models of Earth&apos;s static and time-variable gravity field will be available every month as one of the science products from GRACE. Here we present an alternative method to estimate the gravity field efficiently using the in situ satellite-to-satellite observations at the altitude and show results on static as well as temporal gravity field recovery. Considering the energy relation between the kinetic energy of the satellite and the gravitational potential, the disturbing potential difference observations can be computed from the orbital parameter vectors in the inertial frame, using the high-low GPS-LEO GPS tracking data, the low-low satellite-to-satellite GRACE measurements, and data from 3-axis accelerometers (Jekeli, 1999). The disturbing potential observation also includes other potentials due to tides, atmosphere, other modeled signals (e.g. N-body) and the geophysical fluid signals (hydrological and oceanic mass variations), which should be recoverable from GRACE mission with a monthly resolution. The simulation results confirm that monthly geoid accuracy is expected to be a few cm with the 160 km resolution (up to degree and order 120) once other corrections are made accurately. The time-variable geoids (ocean and ground water mass) might be recovered with a noise-to-signal ratio of 0.1 with the resolution of 800 km every month assuming no temporal aliasing. © European Geosciences Union 2003. In this paper we present results for modeling the Earth&apos;s gravitational field using spherical wavelets and applying methodologies for the estimation of the corresponding coefficients. The observation types in our techniques could either be gravity gradient tensor measurements from the Goce gradiometer, or other gravity mapping mission data such as the Grace low-low intersatellite KA-band range-rate, or Champ high-low intersatellite GPS phase data, or a combination of all the data types. Our approach allows both, either a wavelet-only solution or a combination of a spherical harmonics part with an corresponding spherical wavelet part. Using appropriate techniques for the solution of the resulting normal equation system, series coefficients up to a certain detail level can be estimated. Finally, we provide a demonstration of the developed methodology using simulated data. European Space Agency&apos;s Gravity field and steady state Ocean Circulation Explorer (GOCE) space gravity gradiometer (SGG) mission is anticipated to determine the mean gravity field of the Earth with an unprecedented geoid accuracy of several cm rms with wavelength of 130 km or longer. In a sun-synchronous, near-polar, circular orbit at an altitude of 250 km, GOCE senses not only static gravitational forces but also tides and other temporal signals resulting from mass variations of various Earth processes. These signals manifest as gravity field changes and include effects such as atmospheric loading on the Earth, ground water movement, oceanic mass variations, and ice mass flux changes. In this study, we investigate the high (temporal) frequency aliasing and mismodeling effects from ocean tides, atmosphere, and hydrological mass variations on the GOCE estimated gravity model complete to degree (N max) 300 using simulated diagonal gravity gradient tensor measurements over a 2 month data span, applying frequency-dependent noise while ignoring the high-low GPS tracking data. Various mass variation effects have been computed for Nmax=60. It is concluded that the power spectral density (PSD) of the considered temporal mass variations generally has less magnitude than the measurements noise over all spectral bands. Only unmodeled total ocean tidal signals are found to have errors of a few mE/Hz1/2 maximum within the measurement bandwidth. Specifically, S2 and K 1 tides are significant for Nmax=90, while atmosphere and hydrological affects are significantly less on the two-month GOCE mean gravity solution. The measurement noise and regularization show ~15 cm RMS geoid error for a spatial scale 67 km or longer, and error due to other temporal mass variations is an order of magnitude smaller at 1-2 cm RMS. Future simulation studies include further assessment of GOCE gravity field errors at long wavelength components when high-low GPS tracking is included and for the cases of tidal perturbations at spatial frequencies shorter than N max=60. ESA&apos;s General Ocean Circulation Experiment (GOCE) mission is anticipated to generate Level 2 data products such as global geopotential model with geoid undulation accuracy of 1 cm RMS with a spatial resolution of 130 km or longer. We propose a calibration and validation effort to verify GOCE measurements and data products including the Level 2 geopotential model in the Mediterranean Sea, a water body of 4000 km by 1000 km area. This study used the POCM_4B ocean dynamic topography and the dynamic topography computed using XBT data from NOAA/NODC WOA 2001 data to aid the evaluations of recent geoid models from CHAMP and GRACE. Altimetric mean sea surfaces (ERS-2 and TOPEX) are also used globally and regionally (in the Mediterranean Sea) to assess accuracy of current geoid models. Preliminary monthly comparisons of the GRACE geoid for 7 months using the WOA01 data show good agreement globally and reasonable agreement in the Mediterranean Sea. To validate the GOCE gravity tensor data, accurate knowledge of geoid undulation over Mediterranean Sea, is needed via an appropriate upward continuation to the GOCE altitude. The inaccurate in situ regional geoid could present a problem for calibration and validation of gravity mapping sensors such as GOCE. The instruments onboard the CHAllenging Minisatellite Payload (CHAMP) include geodetic-quality, Blackjack-class, GPS receivers for precise orbit determination and a 3-axis Space Triaxial Accelerometer for Research (STAR) to measure non-conservative forces. These instruments are essential for precise orbit determination and gravity field estimation. However, it is necessary to correct well-known systematic errors such as constant bias, scale factor, and drift in the accelerometer data. The calibration cannot be implemented under the 1-g ground environment, it rather needs to be done in flight. There are several approaches to do this, for example, either by comparing observed non-conservative forces with the ones computed from the corresponding models, or during the process of gravity field estimation and orbit improvement. In this investigation we use a more direct method for the accelerometer calibration. We compute the 3-D non-conservative force vectors based on the kinematic acceleration of CHAMP and a reference gravity model, and then compare the computed non-conservative forces with the ones observed by the 3-D STAR. The difference between them indicates the practical imperfect performance of the accelerometer instrument. The observations are adjusted to the computed values, and the corresponding constant bias and drift factors in each axis are estimated in a least-squares sense. The results indicate that the constant biases are about 0.750mgal (in the radial direction), -0.353mgal (in the along-track direction) and 0.047mgal (in the cross-track direction). They are comparable to the results obtained from precise orbit determination (Kang et al. 2003) and other methods (Han et al. 2002), in which the calibration parameters were estimated using completely independent and different methods. After we have verified and calibrated the accelerometer observable, we determine the in-situ gravitational force vector at altitude by combining the kinematic acceleration and (calibrated) non-conservative acceleration. We then validate our in-situ gravity vectors based on the state-of-the-art recent gravity field models including EGM96, EIGEN2 and GGM01S; the results are reasonable. The Gravity Recovery and Climate Experiment (GRACE) mission Launched in 2002 has provided accurate scientific products which help people gain new details on the Earth&apos;s gravity field. Meanwhile, this satellite mission also presents a computational challenge to analyze the large amount of data collected. To deal with this problem, much effort has been done to minimize the heavy computational burden (Gunter 2000; Han 2004). This paper focuses on applying parallel techniques in a straight forward way to estimate unknown geopotential coefficients. The gravity model is based on the energy conservative approach (Jekeli, 1999) that builds a direct connection between the in situ disturbed geopotential difference of two satellites and the position, velocity, range rate data obtained from the GPS, accelerometer and range instrument respectively carried aboard GRACE. The corresponding observation model is a simple linear equation which makes the construction of design matrix handy. Three major steps make up the whole processing procedures. The first is the creation of local contribution. The second is transformation of local information to global object. The last is Cholesky decomposition. We tested the implementations of two methods. The Normal Matrix Accumulation (NMA) method computes design matrix and normal matrix locally and accumulates them to global objects afterwards. The Design Matrix Accumulation (DMA) approach is to form small size of design matrix locally first and transfer to global scale, by matrix-matrix multiplication to obtain the global normal matrix. The creation of normal matrix occupies the majority of the whole wall time. Our preliminary results indicate that the NMA method is very fast but cannot be used to estimate very high degree and order coefficients due to the lack of memory. The DMA can solve for up to 120 degree and order in roughly 30 minutes. European Space Agency&apos;s GOCE space gradiometer mission is anticipated to produce the mean gravity field model of the Earth with an unprecedented geoid accuracy of 1 cm RMS with wavelength at 130 km or longer. We propose an international effort for the calibration and validation of GOCE gravity gradient tensor measurements and Level 2 geopotential data product (1) in the region near Schirmacheroase, Dronning Maud Land, East Antarctica, and (2) at regions near the Syowa station, East Antarctica. These two regions have been well-surveyed by gravimeters, GPS traverse, tide gauge, airborne radar, meterological and satellite stations (VLBI, GPS, DORIS). They are currently participating or propose to participate in the calibration and validation of other spaceborne sensors, including GRACE, IceSat and CRYOSAT. In this paper, we provide a description of these calibration sites, a study of geoid accuracy in the Schiramcheroase region comparing the TU Dresden regional geoid with EGM96 and GRACE gravity field models and the approach for calibration of GOCE tensor gradient measurements. It is shown that an accurate in situ geoid and other associated measurements are required to successfully conduct GOCE calibrations. 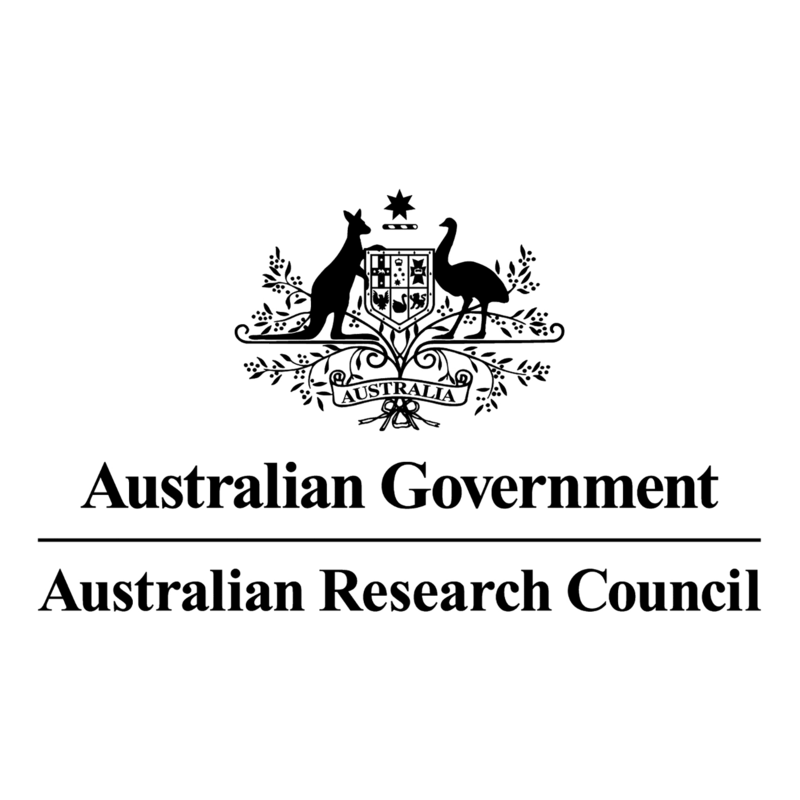 World-first discovery shows Australia tilts and shifts in response to Europe's weather. 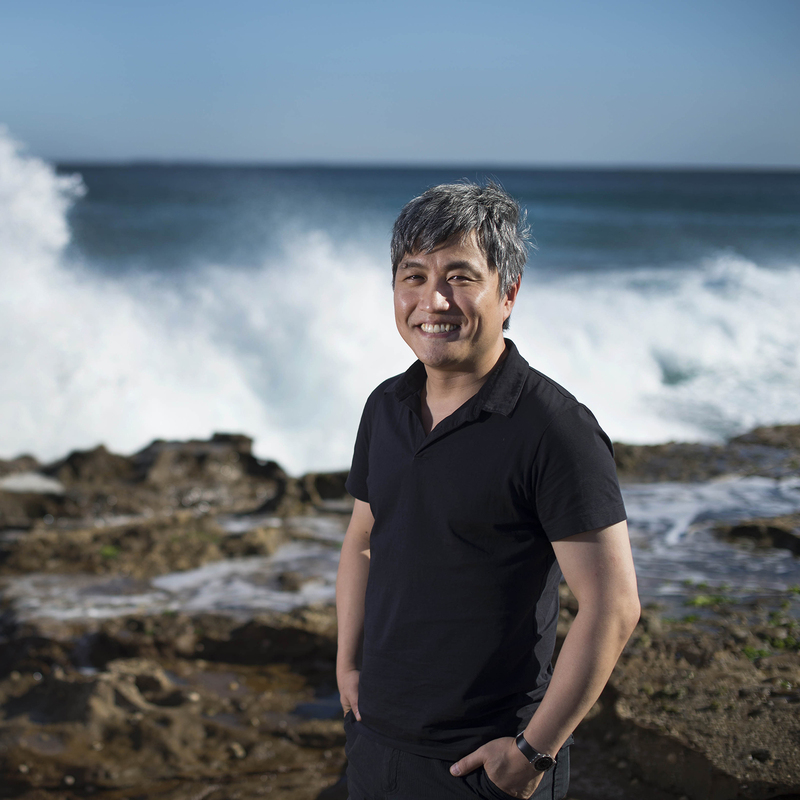 NASA has appointed University of Newcastle (UON) Professor Shin-Chan Han as part of an elite research group aimed at measuring climate change from space.